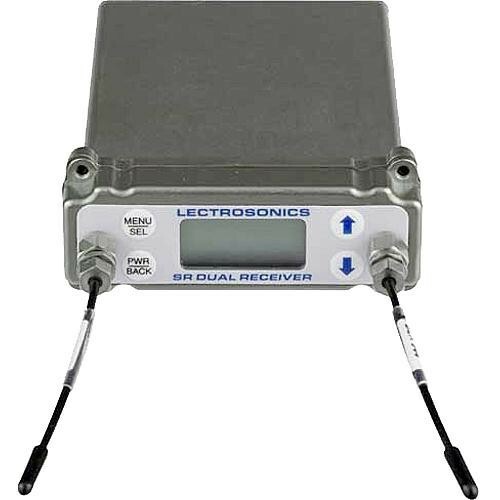 The Lectrosonics SRb DUAL UHF Receiver is a two-channel slot-mount Digital Hybrid Wireless diversity receiver that supports 640.000 - 665.500 MHz operating frequencies. The SRb receiver offers two independent channels and fits into the standard video camera slots found on professional cameras. The two audio channels can feed separate inputs or can be mixed internally to feed a single input. Plus, a DSP compatibility mode allows the SRb to be used with Lectrosonics IFB transmitters.